President Trump and his Republican allies went on the offensive this week, vowing to pursue and even punish those responsible for the Russia investigation now that the special counsel has wrapped up without implicating him or his campaign in a criminal conspiracy to influence the 2016 election. Trump, grim faced and simmering with anger, denounced adversaries who have pounded him for two years over Russian election interference, calling them “treasonous” people who are guilty of “evil” deeds and should be investigated themselves. “Those people will certainly be looked at,” he said. That threat caught the eye of Esquire’s Charles Pierce. 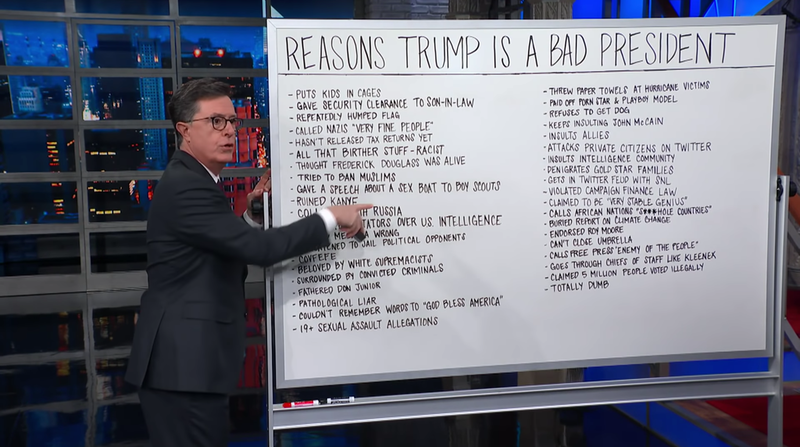 “Its basic thuggishness was one of the first signs in 2016 that the Trump campaign was definitely Not Of The Body. It wasn’t just the assaults on protestors. Each rally was thick with thick-necked, ear-plugged, shades-wearing refugees from a Scorsese film. If the Gambino family had held primary elections, this is what one of them would have looked like. Later, we learned that Michael Cohen was the head goon in charge; Cohen, of course, is now in jail after a brief stint as a cooperating witness. The Omaha World-Herald reported that most Nebraskans and Iowans with flooded property aren’t insured, and federal aid only goes so far. 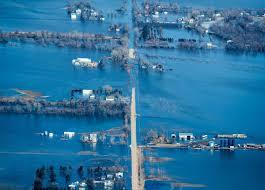 Just over 8,500 Nebraskans have flood insurance policies. That’s a fraction of the people whose property the flooding has struck. And more could be damaged still as the flood threat lingers. Standard homeowners’ insurance doesn’t cover floods. You have to buy a separate policy if you want flood insurance. The NDP has compiled a list of the best local, Tribal, state and national organizations where you can get help, donate money or items, or volunteer your time to assist with recovery efforts. The event includes dinner, drinks and live music with Mike and Kerry Semrad of The Bottle Tops. The rockstar theme, “For Those Who Write The Bills, We Salute You,” celebrates our rockstar State Senators! The SCC March Meeting is this weekend in Lincoln. We have lots of great meetings and trainings scheduled for Friday, Saturday and Sunday! Please consider staying on Sunday to help canvass for all the strong Dems running in the Lincoln city elections. 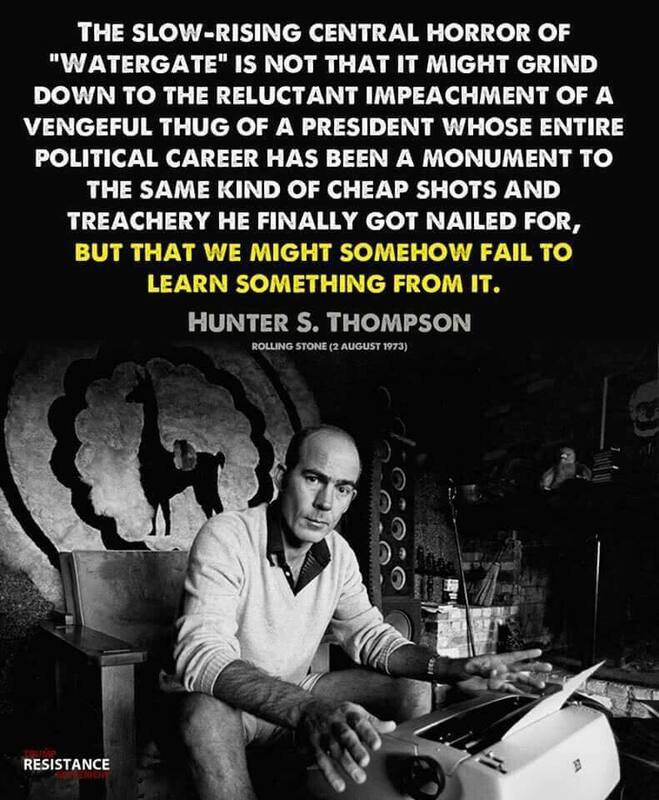 We finish this week with haunting words from the late Dr. Hunter S. Thompson — Nixon-antagonist extraordinaire — who penned these words after the Watergate Scandal nearly ripped the nation to shreds.